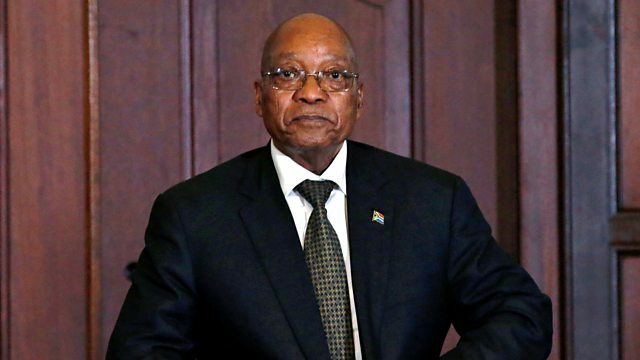 A look at political crises facing Jacob Zuma in South Africa and Nicolas Maduro in Venezuela. And the chief minister of Gibraltar dicusses Brexit and Spanish territorial claims. Presidents in Peril: political crises facing President Jacob Zuma in South Africa and President Nicolas Maduro in Venezuela. We speak to the Chief Minister of Gibraltar; he accuses Spain of trying to use Brexit to forward its territorial claims to the Rock. And, possibly, a sneak preview of Bob Dylan's taped acceptance song once he finally picks up his Nobel Prize for literature.